Seniors just aging into the Medicare market, must know about the penalties they will pay if they do not sign up for Medicare Part B at the right time. For those seniors who have already filed for Social Security, they will automatically be enrolled in Medicare at age sixty-five. However, seniors who continue in the workforce, either by choice or necessity, and delay their Medicare coverage need to notify Medicare of their decision. Otherwise they will face a 10% Part B penalty for each year that they do not file. So someone filing for the first time at age seventy will face a 50% Part B penalty. The penalty is permanent and can translate into thousands of dollars in unnecessary penalty charges. If you decide to continue working, notify Medicare of your decision as soon as you turn sixty-five to ensure you will avoid penalties later. Especially, if you are a senior who works at a company with over twenty employees, as your employer will continue to provide your benefits. You can do this by choosing the option on the back of the Medicare card that is sent, calling the Social Security Administration, or visiting the SSA website. For their Part D prescription coverage, you can delay filing as long as your employer provides equal or better coverage. 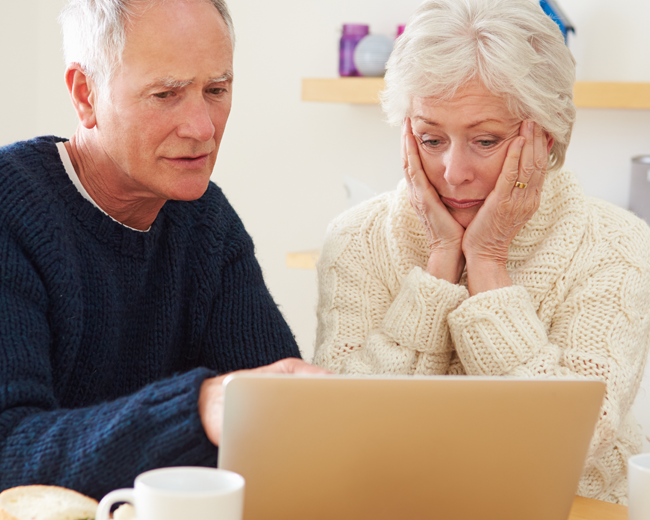 Those seniors earning more there is a surcharge on high-income seniors. Currently, this affects only 5% of seniors, however those still in the workforce are more likely than those retired to fall into the income bracket. The extra charges can be applied not only to Part B, but also Medicare Advantage and Part D coverage.